This article will guide you through how to design a website with effective use of two very important digital product development components – UI and UX, to improve the customer satisfaction rate. After reading this article, you would be able to understand how important role the UX/UI design plays for the product’s success in the online marketplace. You can also get the commercial aspects of UI designer roles, such as variation in salaries, job responsibilities and so on. 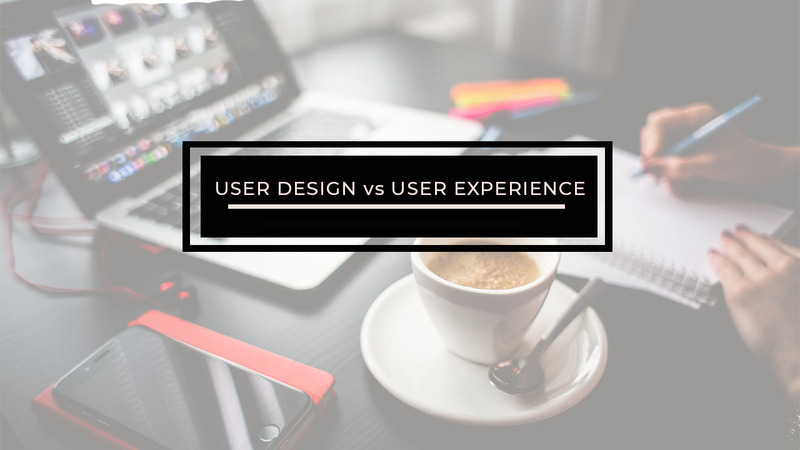 The main goal would is to get a deeper perspective into the difference between UI and UX design components, and the market demand for web designers and developers globally. Building a successful website means knowing your target audience, modern design, and web development trends. If you know the key points that make any website attractive for its users, you can save your time and resource. 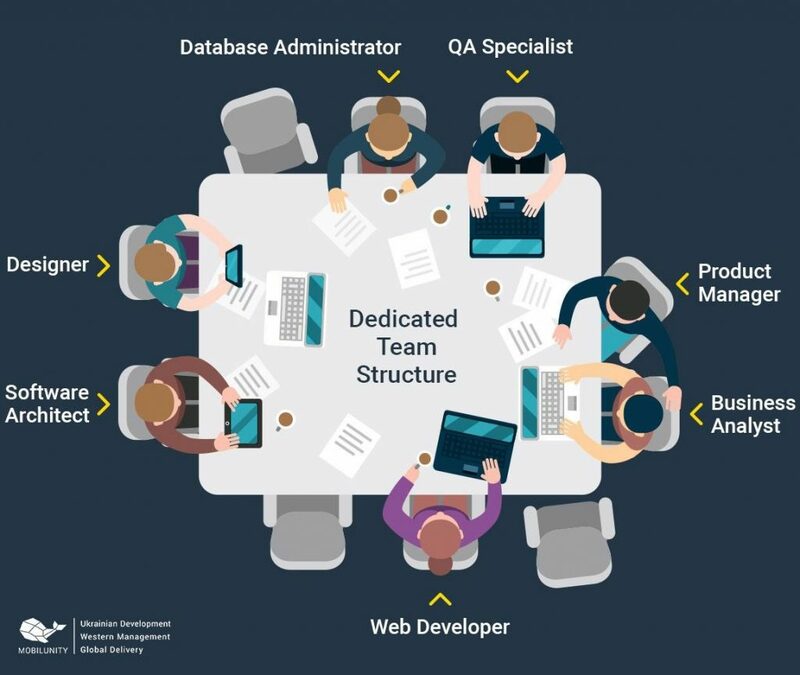 It does not always require huge efforts or big budget, you can have a remote web developer with a wide range of skills and extensive experience and it would be enough, if you use the right approach and follow the best practices. In any case, web development always starts with design and it can have a huge impact on your results. What Are UI and UX Development? The UI and UX are the acronyms of the user interface and user experience respectively. 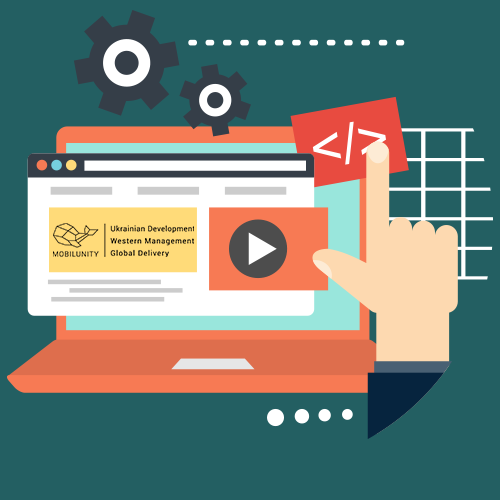 They are two important components of web development. The elements of customer experience and customer satisfaction include the UI and UX design, high-performance and reliability of website in the modern online business ecosystem. According to the latest market research conducted by Avendus Inc, eCommerce operations market was expected to cross $60 billion by the end of 2017. The total growth was anticipated to remain over 20% CAGR during the forecast period. Similarly, the overall market value of technology services and digital marketing was expected to cross the $600 mark by the end of 2017 with a whopping 23% CAGR growth. What is a user interface or UI? It is a process of designing the styles and outlooks of the web page components, such as buttons, menus, icons, images, dropdowns, and other such components. The main objective of a good UI design is to create good product experience and responsive web design. The UI interface should always be attractive, easy to use and properly positioned on the web page. The major activities of a UI designer include researching the product, how will it be used, UI prototyping, finalizing UI designing, and testing of the UI components. 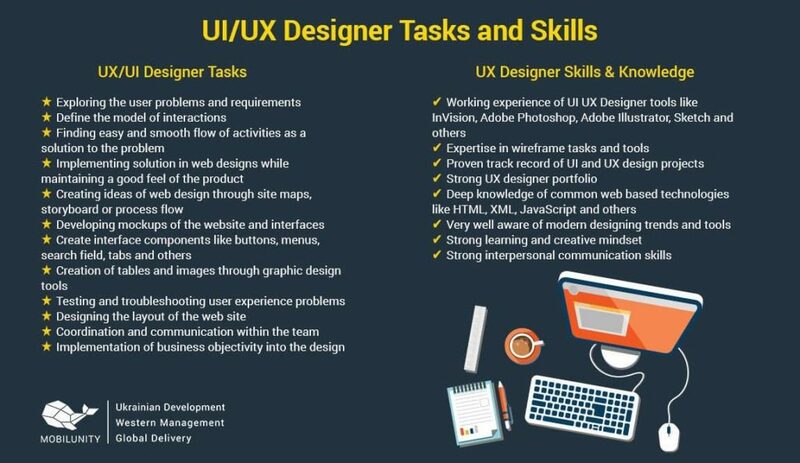 Most of these activities are accomplished within the boundaries of UX design layout developed by the UX designer. The most important interaction between the website, web application, and mobile app and the users take place through the UI components. Even the outlook of a webpage, which includes the color of the page, length, header footer, and many other factors are designed with the help of UI designer. An attractive and easy to use UI design has a great value in the customer satisfaction definition and assessment. Another important factor for an attractive website is the user experience or UX design. The user experience (UX) design is a comprehensive process of developing a web product that can create great product experience while using the product and also provides a better environment for the better implementation of the user interface within the product layout. A user experience design process covers developing the overall design of the product, implementing the product macro features, developing a product branding, and creating an interactive and responsive website design of a web product. The main objective of implementing the best UX design features is to achieve full customer satisfaction by developing awesome user experience on the web environment. Both the UI and UX components of website designing are the major determinants on how to build a website with a perfect product branding design so that the average website conversion rate is improved significantly. Almost all trending website design ideas in 2018 beyond are highly influenced by the user interface and user experience designs. Working with tech startups in the marketplace will help the new developers and beginners to have a better idea about the modern website development trends. What is the most direct cause of customer loyalty? The simple answer to this question is great user experience. How a great user experience is created? A great experience can be achieved through multiple ways, but the effective use of UI and UX design is at the top of the list. Let’s talk about the difference between UI and UX design, and the role of UI/UX in creating a better digital product design. The development of a professional grade web product is not possible without both the UI and UX designers and developers. The UX designers researches about the design trends, understand the product objectives and translates the business objectives into the form of a digital solution. While the UI developer focuses on providing the best outlook and presentation to the users to get to the value that the web product offers easily. You cannot create a great user experience without the help of any one of the above roles. The major responsibilities of a UX designer start from understanding and assessing the business requirements, wireframing, prototyping and testing of the UX design. Once the UX design is completed, the role of UI developer starts to make the design more attractive and easy to use so that a great customer value is created. The demand for the UI and UX developer is very high in the marketplace. Both of them are extensively required in multiple software development projects like websites, web applications, mobile apps, enterprise applications, and even in the development of simple push notifications for digital marketing purposes. If we compare the demand of the UI vs UX developers, UX developers are in high demand as compared to UI developers. But, that does not mean that UI demand is decreasing, the main reason for the comparatively low demand for UI developers is that UI developer responsibilities are also merging into the UX developer responsibilities. This merger of the responsibilities is creating a new role of UI/UX developer, which is a hybrid role to perform both the UI and UX responsibilities. A UI developer should strongly strengthen their skill set by excelling in the field of 3D graphic designing, illustration, interactive designing, and responsive web development. This will increase their demand in the marketplace due to a comprehensive knowledge of front-end web development. More than 6 major companies have doubled the designing professionals, especially in the field of UI and UX design between 2012 and 2017. Among such companies, IBM, Dropbox, LinkedIn, Atlassian, and Uber are a few to name. According to the Designing in Tech Report 2017, Amazon, Google, Facebook hired 65% more UI/UX designers to strengthen their web-based operations of different services. This report further revealed that bigger corporations acquired more than 35% of the designing companies to expand their designing capabilities. Only in 2017, more than 21 designing startups and small creative companies were acquired by the large companies. In another survey within the web designers suggest that more than 80% of the designers want to start their own designing company if they have sufficient funds. So, based on these statistics and figures, we can say that the demand for both UI and UX developers is very high. But the merger of the roles is also taking place in many companies and markets. Every design is heavily influenced by the creativity and innovative ideas. The demand for designers has always been high even before the advent of modern computing and information technologies. In the modern business ecosystem, every business is extensively influenced by the software applications, websites and online platforms to achieve the business goals. So, almost every industry requires designers directly or indirectly. Let’s have a look at the top industries where the demand for web designers is very high. Software development industry is the core consumer of web designers. They require web designers in developing websites, web applications, mobile applications, and enterprise applications. There is a huge software industry spread all around the world, especially in North America, Europe, Asia Pacific, and other regions. The demand of web developers will remain in this industry for many years to come. SEO and web optimization industry is also in need of many web designers to make their websites responsive and interactive. The search engine indexing is heavily affected by the website design. If your website is not properly designed, it may not rank well in the search engine indexing. So, the web designers are required to optimize the websites for SEO and other marketing strategies. Machine learning industry is one of the cruising fields in the software development marketplace. The new concepts of machine learning are powered by the virtual reality VR and augmented reality AR. The chatbots and many other software tools are in high demand. The designers have larger roles in materializing the machine learning projects. The operations of the web-based services like Google, Facebook and many others require the professional web designers to check and troubleshoot and debug the issues in the operations of the web-based services. A good designer can also help improve the continuous development for enhanced user experience in a DevOps environment. Mobile application development industry is one of the fastest growing in the sector. Millions of Android, iOS, Windows, and other mobile apps already available in the market and their number is only growing. The demand for UI/UX developers in the mobile app development is huge. There is a huge demand for web developers all over the world, especially in the USA and Western European countries. The average salary of a web developer also varies in different countries. For example, the average salary of a web developer in the USA is about $75,053 per annum. While a web developer earns about $45,607 per annum in the UK. Similarly, the UX designer salary in the US is about $92,162 per annum while the UI designer earns about $86,059 per annum. This means the average salaries of UI and UX designers are much higher than the average salaries of web developers. The same trend prevails in all other major countries of the world. The large average of UI/UX designer salaries is a clear indicator that the demand in the market for UI/UX designers is higher than the web developers in all major countries. The user interface (UI) and user experience (UX) designers play a vital role in modern web development in the industry. They are complementary to each other with certain differences. The average salaries of UI and UX designers are higher than the web developers. The UX designing is in very high demand followed by the UI designing. Both UI and UX designer roles are merging slowly and gradually. Website, web application, and mobile application development are major industries where UI/UX designers are demanded hugely. The concept of UI and UX designing is a bit confusing but easily explainable.